Gluten free roux is so easy to make! 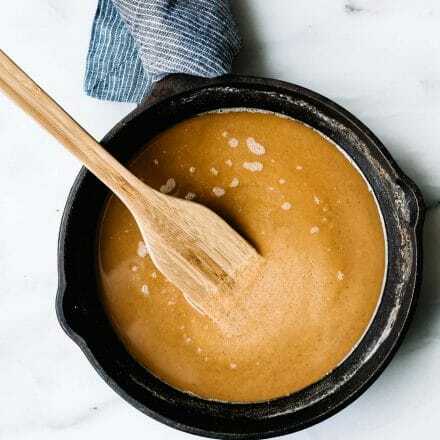 I’ll show you 3 ways to make a gluten free and/or grain-free roux, using paleo and keto-friendly ingredients. Plus a quick Corn-Free, Gluten-Free Slurry. 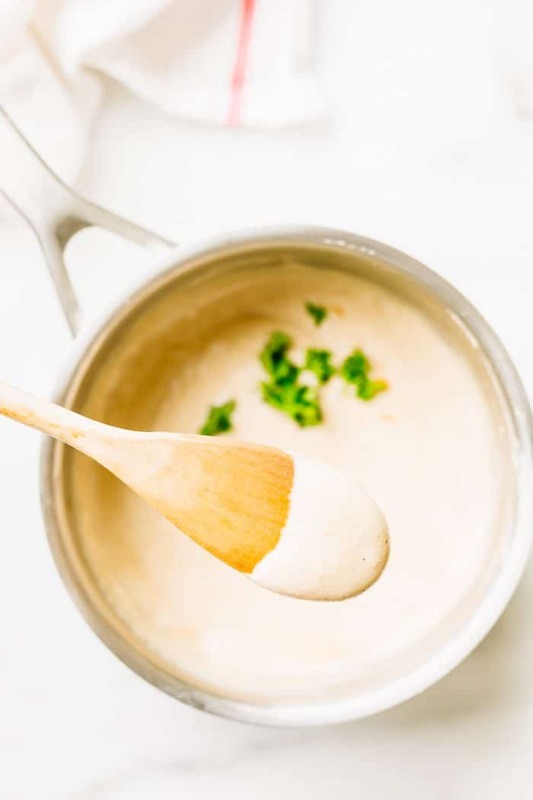 You can use these roux recipes to make a classic white sauce (gluten free, and dairy free), to make low carb sauces, thicken soups, gravies, and more! Disclosure: I collaborated on this HOW TO MAKE GLUTEN FREE ROUX sponsored post with my good friends at Bob’s Red Mill. Thanks for supporting the businesses that help to keep the Cotter kitchen grinding out recipes for you! It’s about to get saucy up in here! And we can thank the power of gluten free ROUX for that. Yep, we’re going old school today! Actually, it’s old school cooking meets new age diet, referring to the world of low carb, keto, dairy free, gluten free, you name it. Whatever floats your boat, we have a sauce and a thickening agent to help solidify your recipes. Haha, get it? In all seriousness, we’ll be sharing more HOW TO RECIPE series this year for those eager to learn gluten free cooking hacks! And this post is the one that will kick off 2019! A HOW TO differentiate between each type of roux, how to use them, and when to use them. The bonus? 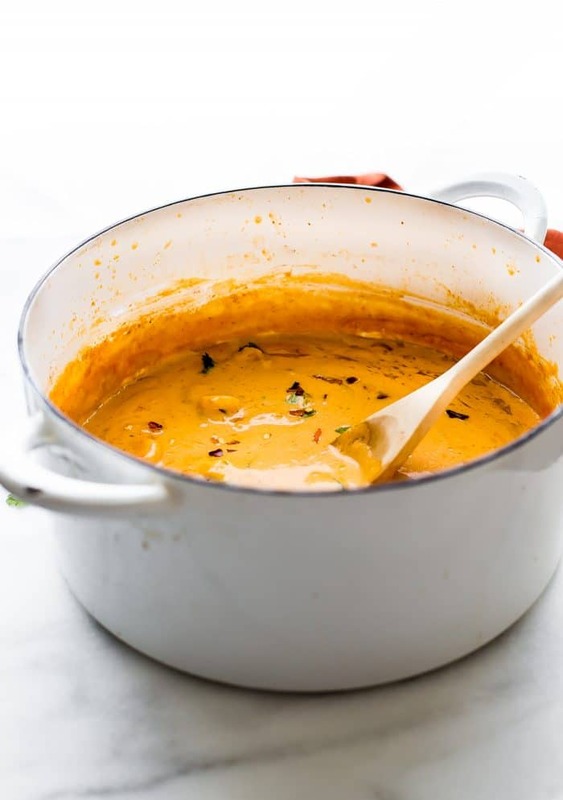 We’ve adapted several different roux recipes (thanks to Bob’s Redmill products) for the keto diet, the grain free diet, the dairy free diet, and more! You’re welcome. Now bust out your pen and paper, you’ll want to take notes. A roux is a thickening agent, made using equal parts flour and fat. The flour is toasted and whisked into the fat, adding a specific nutty flavor to whatever it is thickening. 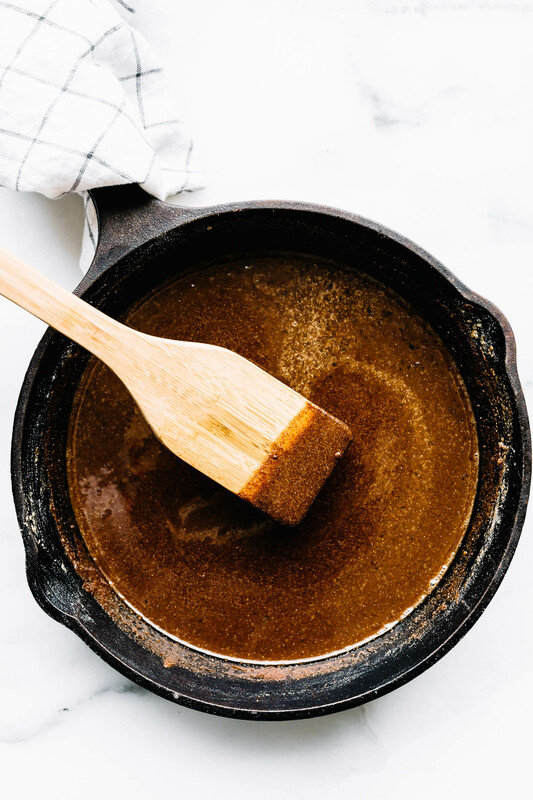 Roux is the center (heart) of countless classic dishes like gumbo, casseroles, soups and chowders, stews, and gravies. The tiniest bit of roux produces a rich, thick, flavorful sauce. As a roux cooks, it becomes darker in color and richer in taste. There are four types of roux; white, blonde, brown, and dark (sometimes called black roux). ALL ROUX RECIPES in RECIPE BOX below. THICKENING SOUP and SAUCE NOTE (before you begin)- If you’re using a roux to thicken a soup, it’s best to add at the beginning as it can take some time for the soup/stew to thicken. How do you make a gluten free roux? 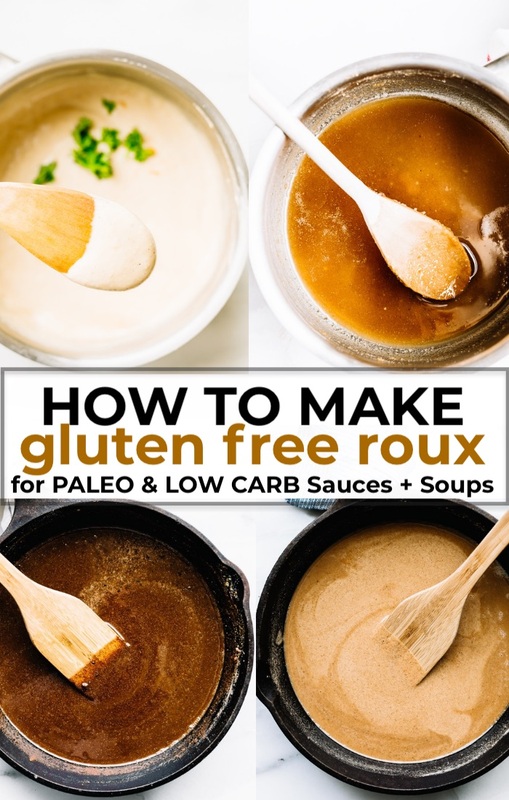 To make a gluten free roux for paleo, low carb, and keto sauces, gravies, soups, and stews, you need to use a grain free substitute for all-purpose flour. This is where some fantastic gluten free, grain free paleo, and keto-friendly products from Bob’s Red Mill come into the picture! 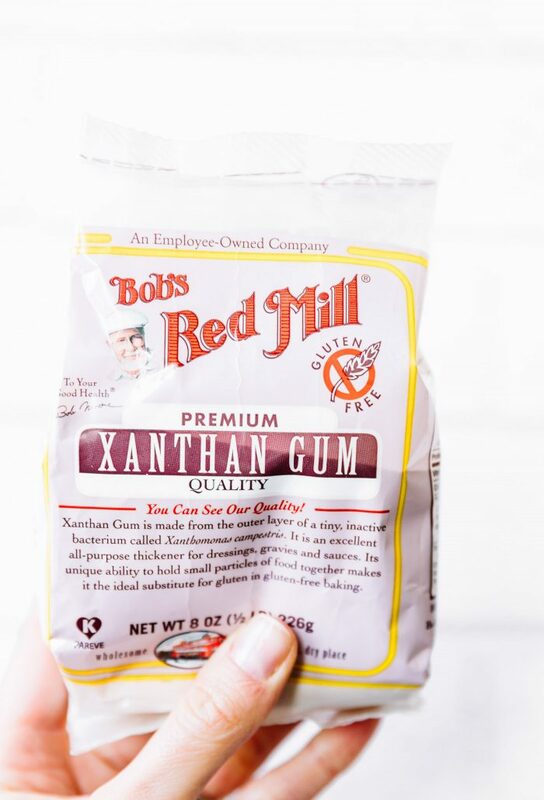 Xanthan gum – Xanthan Gum is a plant-based thickening and stabilizing agent. It works as an emulsifier, encouraging liquids that normally don’t like one another to mix together. It also acts as a thickener, increasing the viscosity of liquids and batters. Plus, it’s low carb and gluten free friendly because A LITTLE goes a LONG WAY! cassava flour – Cassava flour is a grain free flour created from the cassava root plant. It’s a great 1:1 substitute for regular flour, although sometimes it takes a little tweaking. Don’t worry, I gotcha covered! Gluten free 1:1 flour – Bob’s GF 1:1 flour is made with a blend of high quality ingredients like sweet rice and brown rice flour, potato starch, sorghum flour, tapioca flour and xanthan gum. 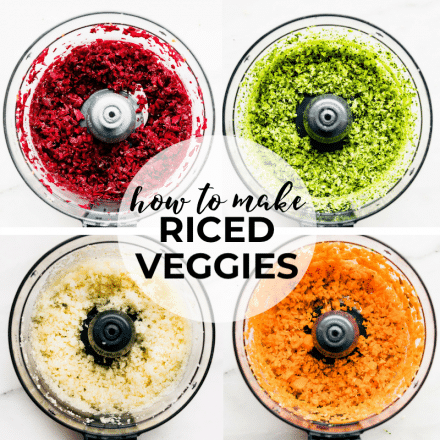 It works perfectly in recipes that call for baking powder or baking soda as well! Arrowroot/tapioca Starches – Arrowroot is an easily digested starch extracted from the roots of the arrowroot plant. It is grain free and gluten free and can be used as a substitute for cornstarch. 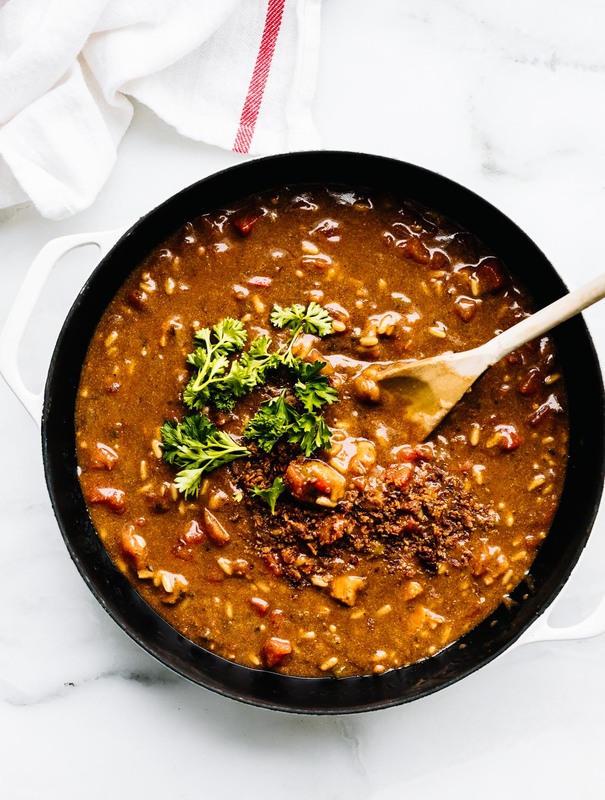 This paleo thickener is great for etouffee, gumbo, and other hearty, deep-flavored dishes. We’re using cassava flour here to keep the roux paleo friendly and grain free. Cassava is made from the whole root of the cassava plant. Consider it a “cousin” flour to that of tapioca starch. It has a mild flavor and fine texture that is perfect for gluten free cooking! TIP– Cassava toasts up quick quickly in the pan, so you don’t even need to wait long for this roux to turn dark. GLUTEN FREE COOKING TIP -> Dark roux with regular flour usually takes up to 45 minutes, but cassava flour creates that nutty dark flavor extra fast since it’s grain free! I may be bias, but the light brown (peanut color) roux is my favorite. It’s almost like almond butter color and flavor! Great for making a gluten free and refined sugar free sauces for zoodles, and to thicken soups as well as casseroles without eggs. I ADORE Bob’s Redmill 1:1 gluten free flour, which is what we are using here. It literally is my GO TO Gluten Free flour for all baking and cooking purposes. 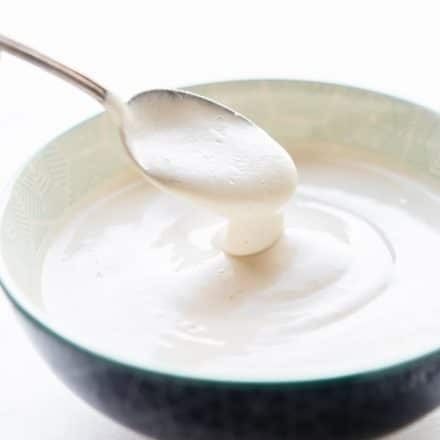 To make a creamy white sauce using this light brown roux, slowly whisk in 2.5 cups of room temperature almond milk. After the milk is incorporated, stir in salt, pepper, and minced garlic. You can also use this roux to make a gluten free alfredo sauce recipe with parmesan mixed and melted in! Need a vegan and/or dairy free cream sauce option? 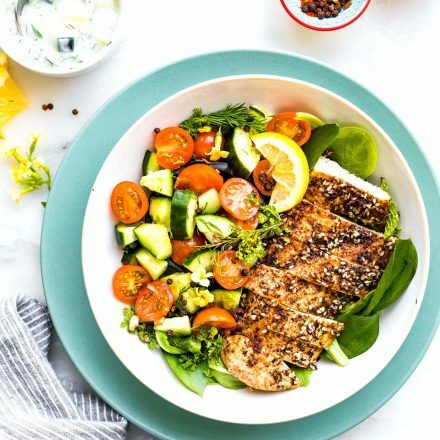 Simply replace the butter with avocado oil (or another high heat oil) then mix in nutritional yeast (Bob’s Redmill) in place of the parmesan. It tastes super cheesy, yet is much lighter. To make a keto roux, you will use xanthan gum. 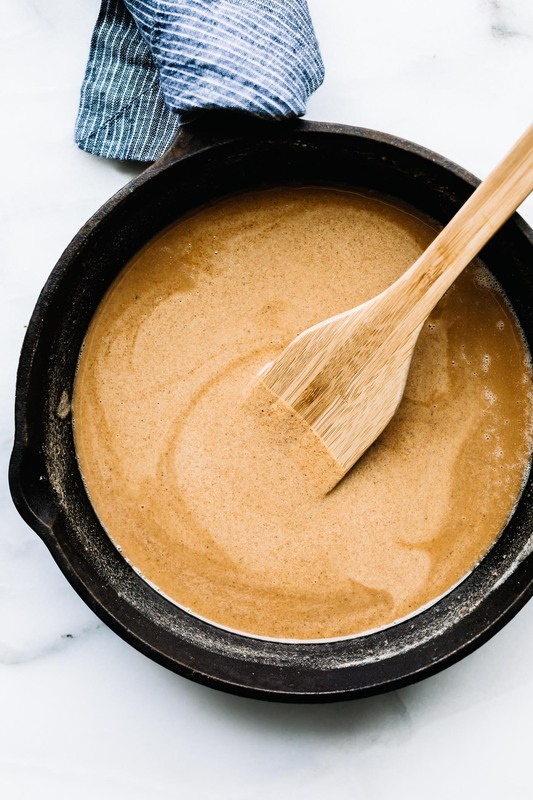 Because xanthan gum can absorb a large amount of moisture, the formula to make a roux with xanthan gum is a bit different. You won’t use equal parts fat and xanthan gum. The biggest trick to using Xanthan gum versus a starch or flour is to use just a little bit! You need far less Xanthan gum than you would flour. Trust me, I’ve learned from experience. EEK! But the good thing is, you will be able to make this starch/gum last forever! The rule of thumb for using xanthan gum is 1/8 teaspoon per 1 cup of flour. 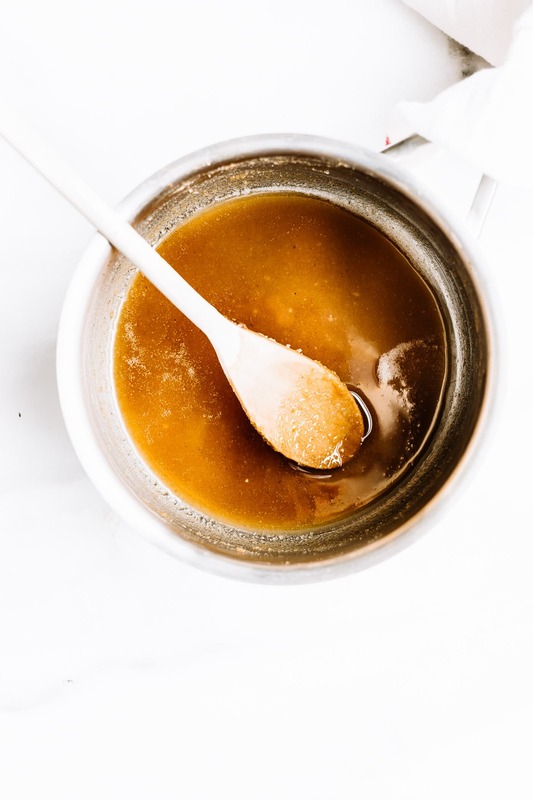 How to Make Gluten Free Roux for Sauces + Soups (Paleo and Keto options): if you want to make a butter-based roux, use 2 teaspoons xanthan gum and 1/2 to 3/4 cup of butter. And lastly… when you’re in a hurry, use a SLURRY! What? What is a slurry? A slurry is not a roux, but it serves a similar purpose. No cooking needed. Think of a slurry as almost the opposite of a roux, but also the same. Haha, stay with me here. You see, a roux is cooked, uses fat, and is added at the beginning of cooking. A slurry is a mixture of water and flour/starch. It is uncooked, needs no fat, and is added at the final minutes of cooking. It’s the Quick fix of thickeners, but doesn’t add in flavor, like a roux does. Does that all make sense? I always have arrowroot or tapioca starch on hand for that purpose. When I’m making a soup and it just need a touch more thickness. Both are paleo friendly and grain free. I use a slurry to thicken my cauliflower soup and healing bisque. Alright my friends, here’s the complete list of recipes! Hold onto them like no other. So tell me, have you ever made a Roux before? Or a slurry? Once you start, you won’t stop. And now you have ALL the resources to get that Julia Child’s moment going! You are a gluten free hero my dear. SO intrigued by the xanthan gum roux!! Just finished trying the xantham gum roux for a cheese sauce and – like my arrowroot flour roux – this delivered a mucous-like consistency. (Not appetizing!) I’m not wasting any more time or ingredients experimenting with low carb rouxs. I will either just boil thick cream or compromise my diet nd use regular flour, which delivers easy, consistent and unmatchable results. Oh no! so sorry to hear this. Was it too much xantham? My thickened over time, once cooled, then I used it in a gumbo. 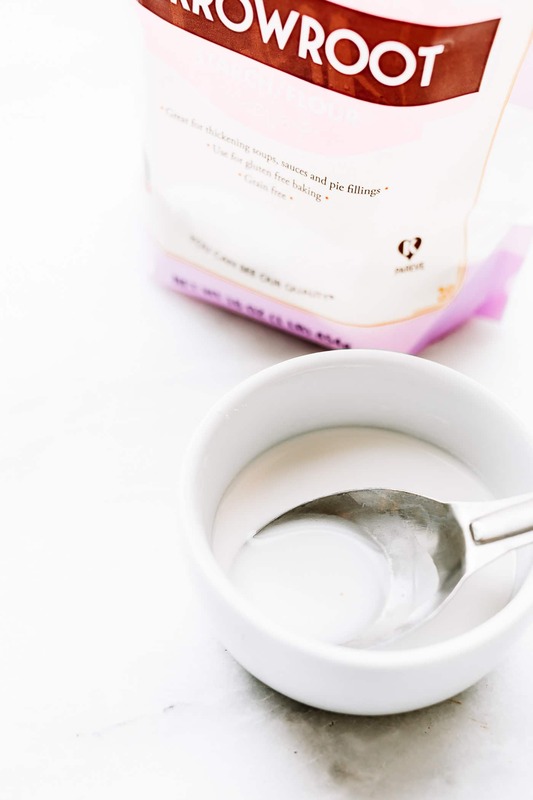 Have you tried cassava flour? Definitely a great “need to know for cooking basics” recipe! What a great one-stop-shop for all your roux needs! I used to really struggle with making roux of any kind – I always felt like it came out gritty. Over time I definitely got better at it and am excited for these healthier versions! Great post Lindsay! Appreciate all the info! Can’t wait to dazzle my gluten free friends! This is such a good idea! I know so many people who will benefit from this! Ahh it would be so hard to not be able to eat normal flour… thank goodness the Celiacs out there have you to rely on. Roux is so integral to so many recipes! 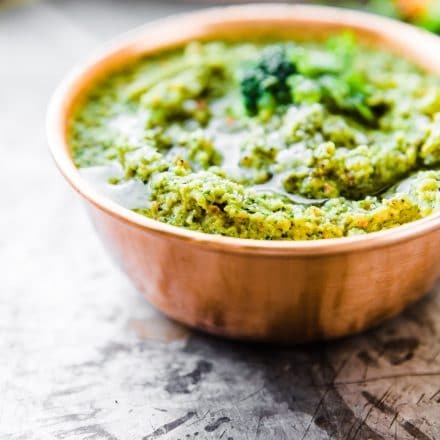 Now this is how I will make vegan gumbo–avocado oil and cassava flour! What a great idea–wish I was clever enough to think of that! I bet these roux recipes are super versatile. 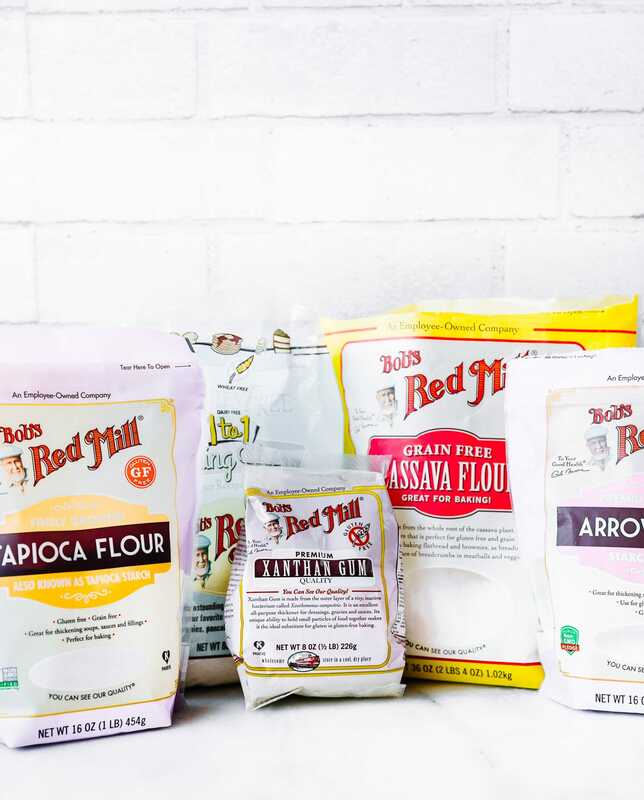 Bob’s Red Mill is the BEST for every baked goods flours!